happy birthday sarah! wishing you a brilliant new year. happy birthday to you! And you scored a fruit arrangement! Damn! that looks yummy. I hope you had a fabulous birthday. I've got a few more months before I turn 31. 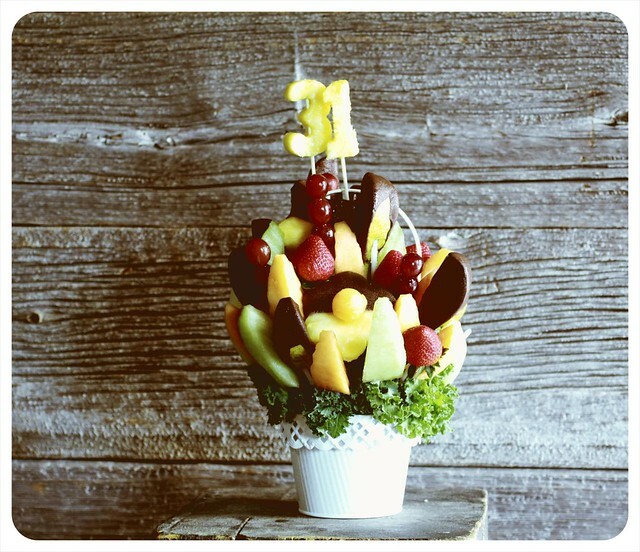 I hope someone sends me a fruit bouquet! what a pretty yummy arrangement!